"I encountered NAIRO as a constituency MP in the context of the valuable work which its members do in the highly sensitive area of vulnerable children. I believe it is important that they should be properly represented and heard." Francis Michael Hare is the 6th Earl of Listowel is now one of the ninety hereditary peer elected to remain in the House of Lords after the passing of the House of Lords Act 1999, where he sits as a crossbencher. Professor June Thoburn qualified as a Social Worker in 1963 and worked in local authority child and family social work and generic practice in England and Canada before taking up a joint appointment (with Norfolk County Council) at UEA in 1979. As founding Director of the Centre for Research on the Child and Family and of the Making Research Count collaboration, she has a particular interest in finding innovative ways of helping social workers to make appropriate use of knowledge from a range of sources in their practice, a recent major interest is in international child welfare. She is currently a special advisor to CAFCASS and Chair of the Norfolk Family Justice Board. She was awarded the CBE ‘for services to social work’ in 2002. Retired CEO of VOICE, John has had a long and distinguished career in Children’s Services spanning local authority and voluntary sectors. A passionate champion of children’s rights, advocacy and improving the delivery and commissioning of services for looked after children and care leavers, John’s legacy includes the Alliance for Child Centred Care, which he co-founded, and the influential Blueprint project which laid out underpinning principles for the delivery of child centred services. John now divides his time between grandchildren, photography and his continued involvement in selected projects across the sector. 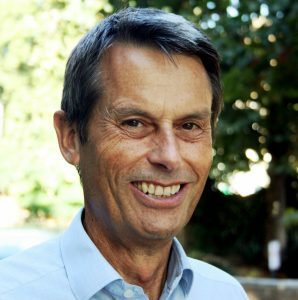 Dr. Ray Jones is Emeritus Professor of Social Work at Kingston University and St. George’s, University of London, and is a registered social worker. 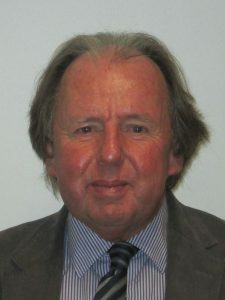 He has also been a visiting professor at the universities of Bath and Exeter universities and is an honorary fellow of the University of Gloucestershire. From 1992 to 2006 he was director of social services in Wiltshire, which was consistently given a top national ranking. 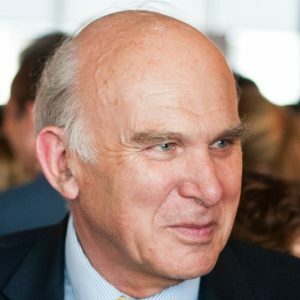 He was the first chief executive of the Social Care Institute for Excellence, and has been deputy chair and chair of the British Association of Social Workers. From 2008 to 2016 he was professor of social work at Kingston University and St George’s, University of London, where he is now an emeritus professor. He is chair of the charity which organises ‘The Social Worker of the Year Awards’ and is a member of the editorial board of the British Journal of Social Work. He has led inquiries following the deaths of children and adults, from 2009 to 2013 was chair of Bristol’s Safeguarding Children Board, and from 2010 until 2016 oversaw child protection improvement in Salford, Torbay, the Isle of Wight, Sandwell and Devon. His most recent book, ‘The Story of Baby P: Setting the Record Straight’, was published in July 2014, has had three re-prints, and a second up-dated edition was published in February 2017. He is currently writing a major book on ‘The History of the Personal Social Services’ and a book on ‘The Privatisation of Social Work and Child Protection’. He is a frequent media contributor, commentator and columnist. "The role of the IRO is to be champions for children, bringing a degree of independent scrutiny to child protection and care planning and its implementation. And at a time when some local authorities have a high turn-over of social workers it may only be the IROs who have a consistent social work relationship with, and knowledge about, a child. They are an asset in quality assuring the help a child receives and in helping to give a voice to the child." Carolyne Willow is a registered social worker (qualified in 1988). She started her career in child protection social work and then, in the early 1990s, moved into roles promoting and protecting the rights of children in foster and residential care amid the first wave of revelations of institutional child abuse. She is now Director of Article 39 charity, which fights for the rights of children living in institutional settings. Between 2000 and 2012, Carolyne was head of the Children’s Rights Alliance for England, during which time she led the charity’s successful fight for transparency in restraint techniques used in G4S and Serco child prisons and initiated legal action to force the government to notify former child prisoners they had been unlawfully restrained. She was a member of Lord Carlile of Berriew QC’s Inquiry into the use of physical restraint, solitary confinement and forcible strip-searching of children in custody. As Chair of Children’s Rights Officers and Advocates, Carolyne managed the development of the initial Total Respect training materials on children’s rights and participation in care. She was also principal author of the first national guidance on children’s rights and advocacy services, which predated IROs as independent champions of the rights of children in care. Carolyne has written several books on children’s rights, the latest being Children Behind Bars, Why the Abuse of Child Imprisonment Must End (Policy Press, 2015). Ben Ashcroft has been a child and young person in Care. He was moved 51 times and had 33 convictions by 17 years old before turning his life around and turning negatives to positives. 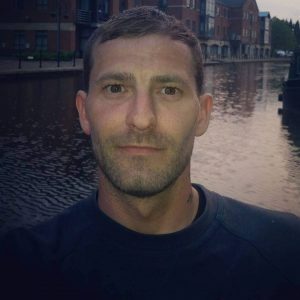 Ben has worked on local, National and European projects with Children in Care. He has worked as an ISW with Children and young people with complex and challenging behaviours. In 2013 he became a published author Fifty-One Moves. Ben has an interests in Child Sexual Exploitation, Residential Care, Social Work and the Criminal Justice System. "I am very proud to be a Patron of NAIRO: I Think their work is vital to contributing to a better care system where children and young people are listened too and heard. I'm looking forward to supporting their work and working together to being the best we can be."